The VAG figures are part of the Gachapon machines (ガチャポン), these are a variety of vending machine-dispensed capsule toys popular in Japan. The VAG series figures are packed inside the Gacha balls. 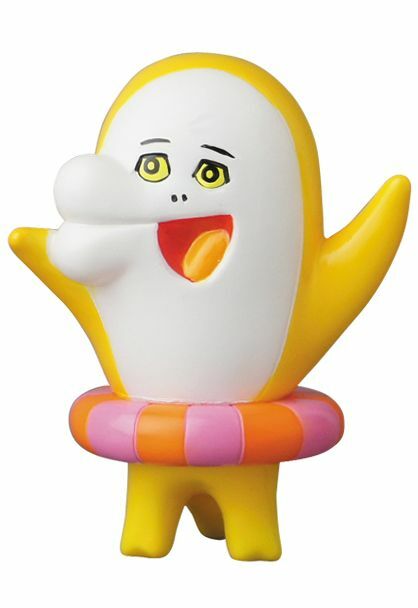 This is the Yellow edition of the Dolphin-Kun figure, part of the VAG (Vinyl Artist Gacha) series 6. Designed by Cosmo Liquid x Medicom toys. Medicom Toys have released their 6th part in the ongoing VAG (Vinyl Artist Gacha) series. Series 6 of the popular Vinyl Artist Gacha line features the work of Japanese artists Maruo Suehiro, Anraku Ansaku, Mirock Toy and Cosmo Liquid. Each artist series comes in 5 different colorways and stands approx 2.5 inches tall. 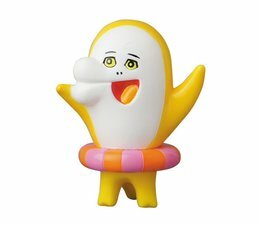 The Dolphin-Kun (Yellow) VAG series 6 by Cosmo Liquid x Medicom is a limited edition.